La Jolla Symphony & Chorus performs "SILA"
I thought you might enjoy this four-minute video from last Sunday. Gloria and I visited the Japanese Friendship Garden in San Diego's Balboa Park. Our friend Carol was participating in the La Jolla Symphony and Chorus' performance of John Luther Adams' Sila: The Breath of the World. It's certainly an unusual piece. I felt it was sort of ghostly, invoking the vague ambience of a science fiction movie soundtrack. The setting was perfect for music that invokes the spirit with which our planet surrounds us. Musicians surrounded the pathways of the beautiful garden. The performance was about seventy minutes long, but my short video captures some of the spirit. This is pretty scary stuff. Wise men say only fools rush in. I'm outta' here! Labels: I saw FIVE undead Elvis's walking down Las Vegas Boulevard! Check out our movie trailer: Where Are The Bears … it’s incredibly exciting, and free to watch! We had Thanksgiving Dinner at Buca di Beppo. 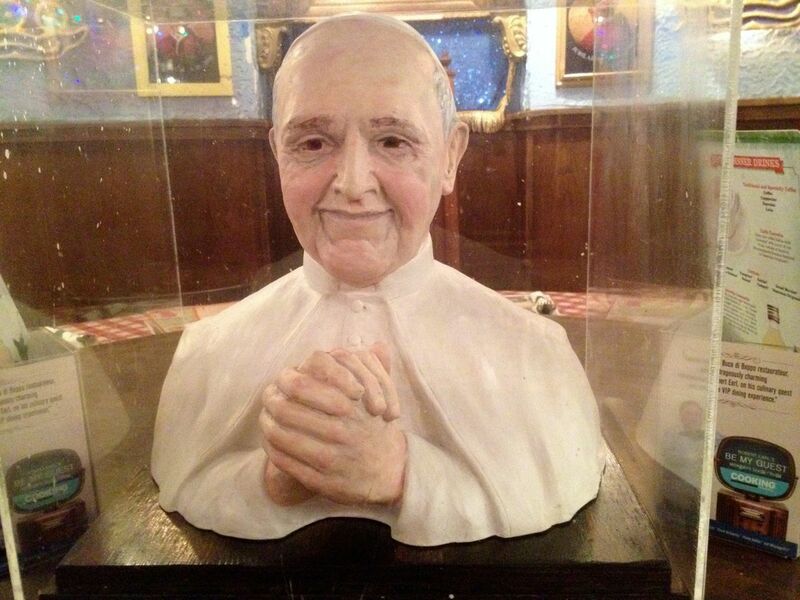 Happy to report that the Pope's Room has been updated with a centerpiece of Pope Francis.